Welcome to the website of Sagano High School. Originally opening as Sagano Girls' High School in 1941, Sagano Senior High School has a history of more than 70 years. In 1996, the Kyoto Cosmos Department was set up, which provides a specialized curriculum, for the purpose of offering more advanced and progressive education to prepare students for further academic research at universities. This program has attracted attention nationwide, as well as in Kyoto. ｢和敬｣ “Wakei” : Be harmonious and respectful. 「自彊」“Jikyou” : Strive for self-improvement. The education system at Sagano has been developed to be balanced and in harmony with virtue, intellect, the body, and emotion. The goal is to nurture students who can contribute to peace and development in the international community and who will take initiative in our nation and society as global leaders. The school was originally designated as a Super Science High School (SSH) by the Ministry of Education, Culture, Sports, Science and Technology (MEXT) in 2012 for a five year term, and was re-designated for an additional five year term in 2017. This honorable designation recognizes the school’s undertakings since the establishment of the Cosmos Department such as collaboration with Kyoto University and other research institutions, and providing advanced education in the field of natural science. One year later in 2013, the school was chosen as one of 25 nationally recognized schools in the entire SSH program. The school continues to be listed as one of the core SSH schools in the nation. In 2014, the school was designated as a Super Global High School (SGH), which is a new research and development program of Japan, and the school carries this designation for a period of 5 years. In cooperation with high schools in Kyoto as well as overseas, Sagano is going to continue making efforts to foster global leaders who can contribute to a global society with abilities such as finding and solving problems, being expressive, thinking globally, having cross-cultural communication, and leadership. On September 25th, 2014, Sagano High School was allowed to join the Associated Schools Project Network (ASPnet) of UNESCO. Sagano, through this network, can interact with other schools around the world. 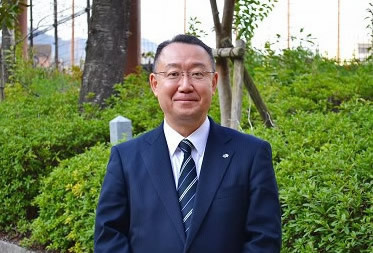 Interacting and sharing ideas with students and teachers globally, Sagano will work on the development of educational methods and programs to cope with global issues and also work on Education for Sustainable Development (ESD). At Sagano High School, students are provided various enriching educational programs that lead them to the spirit of inquiry and reaching higher levels of achievement, to create future citizens who can take action in a global society. The aim of education at Sagano High School is to enhance students'critical thinking ability and skills in expressing themselves based on thorough knowledge. The goal is to increase their willingness and attitude to keep on researching with an inquiring mind and intellectual curiosity at universities and in the real world.